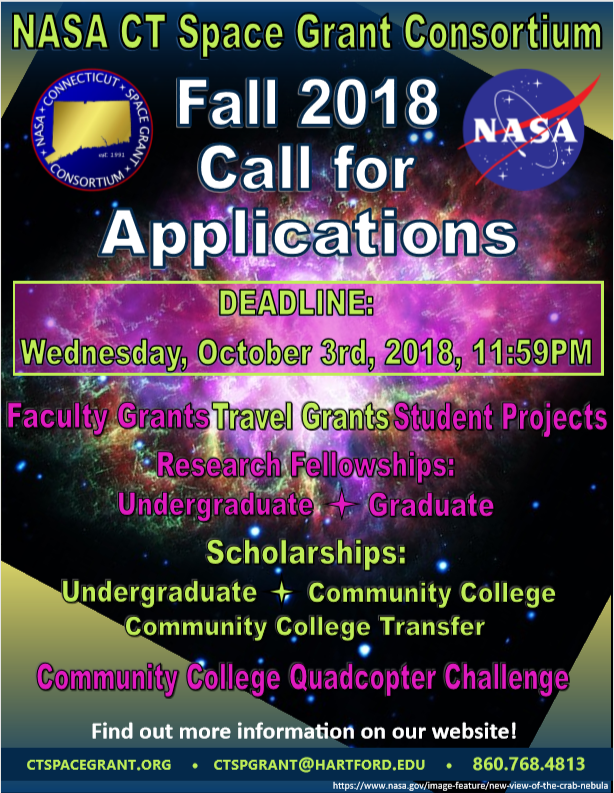 NASA CTSGC is excited to announce various funding opportunities available for our Fall 2018 Requests for Proposals (RFP)! To view a summary of grants, scholarship awards, and design challenges that will be issued during our Fall 2018 award cycle please visit our Faculty Programs or Undergraduate & Graduate Programs pages. For specific information on the grants being awarded this award cycle, visit the student and faculty Funding Programs pages. Applications can be completed using the information on our Forms page. The due date for most applications is October 3rd, 2018. Apply today!